Throughout our careers in the pest control industry it has always been perplexing how people will gladly spend thousands of dollars to eliminate a bedbug problem, however they couldn’t care less to even inquire about mosquito control, much less spend money to control them. As we call to check on customers and make sure everything is bug free, they say “Everything is good, well except for mosquitoes, but nothing can be done for them…” This is a common misconception propagated by companies who don’t want to spend the time or money trying to control a flying pest, as controlling flying pests is much harder. The irony is mosquitoes are vectors for many diseases, viruses, even parasites. But bedbugs, as far as we know aren’t vectors of any disease. 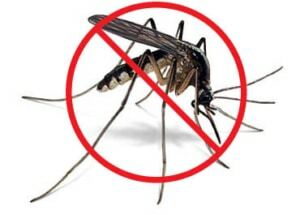 Mosquitoes have been known to carry disease like Yellow Fever, Malaria, and Dengue. Thanks to modern medicine and our will to adapt and overcome we have pretty much eradicated these diseases from the United States. However, currently we have had to deal with Encephalitis, West Nile and recently, the threat of Zika looms with its known birth defects. So now we have established how important it is to control these insects. This can be heard in the news as Vector Control agencies are urging the population to take more of a stand against mosquitoes. Gecko Pest Management’s control strategy begins with a comprehensive inspection to locate three different aspects of a property. Breeding sites, anywhere with stagnant water that is rich in organic material for the larvae to feed off of. One customer was dealing with mosquitoes inside for years. He sealed up any suspected entrances and tracked down possible breeding areas around his property. He was infuriated when we found them breeding INSIDE! in an old front entry water feature. We also look for harborage areas, and sometimes we treat these areas with a residual product. Most of the time we can just have these areas cleaned up by our Landscape Division, because its usually old leaf buildup, piles of landscape clippings, or even piles of trash awaiting to be taken by bulk trash pickup. We even locate eggs laid in a potential breeding spot, as female mosquitoes lay eggs in different crevices in anticipation that this area will fill with water. These eggs can hatch up to 2 years later once stagnant water appears. We identify areas like these around your property and come up with a program tailored towards your issues, providing you with the best value.